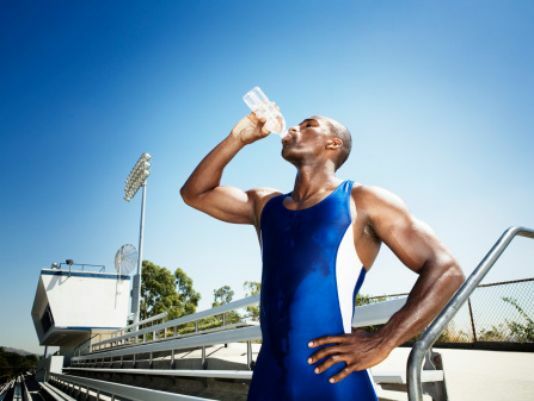 A new study warns athletes against excessive intake of water during sporting events because this could be fatal and lead to hyponatremia. The main article was titled “Statement of the Third International Exercise-Associated Hyponatremia Consensus Development Conference, Carlsbad, California, 2015” and cautioned against excessive drinking of water while sporting competition is ongoing. Hyponatremia results when the sodium level in the blood drops, an event that is always caused by dehydration. However, this causes the kidney to have a problem expelling water and the cells bloat up, due to the fact that sodium levels in the body has become diluted. This study was conducted by 17 sports medicine experts, among which was Dr. James Winger, an associate professor in the Department of Family Medicine of Loyola University Chicago Stritch School of Medicine, who has published studies on hyponatremia in athletes. The researchers cautioned against drinking of water while engaging in sporting activity because it could become quite fatal and life-threatening…unless of course the athlete is really thirsty. Being naturally thirsty is the main mechanism that should be used to regulate the consumption of fluid, because this will not only prevent the onset of hyponatremia, it will also prevent excessive dehydration. Health experts say mild symptoms of hyponatremia are dizziness, nausea, lightheadedness, and feelings of puffiness during athletic events; and severe symptoms are headaches, seizure, coma, vomiting, and altered mental conditions characterized by delirium, agitation, and confusion. It must however be pointed that EAH or hypnatremia always occurs during tough sporting competitions like football, marathons, canoe racing, swimming, and military exercises; with several people dying during a sporting event when overtaken by the condition. The researchers also warn that people should not drink excessive water because they experience muscle cramps or heat stroke during sports, because this could also be fatal and lead to hyponatremia. Source: Clinical Journal of Sport Medicine. Man And The AI Machines, Elon Musk’s biggest fear: What Prevails, Who Controls!